This has been an exciting week for me. I finally launched my debut novel and have even gotten quite a few sales. I've heard from other authors that the best way to market a book is to write another one. So, if all goes well, I'll launch another sci-fi novel later this year. Today, I'm starting a series on how to write a novel. We'll begin before pen even hits paper or fingers ever touch the keyboard. I'm what the writing community would call a pantser: someone who writes by the seat of their pants. I sit down at my keyboard without making a detailed outline to go by and just start typing. But that doesn't mean you should just start writing whatever comes to your head without coming up with some sort of plan first or else you'll end up with a rambling mess. This can be anything from a conflict, to a character, to a setting. Your idea will be caring your novel, so pick something interesting. When you tell people your idea, the response you want people to say, "that's F*^%ing cool!" Otherwise, you'll end up writing a book you're not passionate about that no one will want to read. For The End of Refuge, my first idea was that I wanted a story about people trapped in a bomb shelter. Got an idea? Great! If not, here's some help finding one. 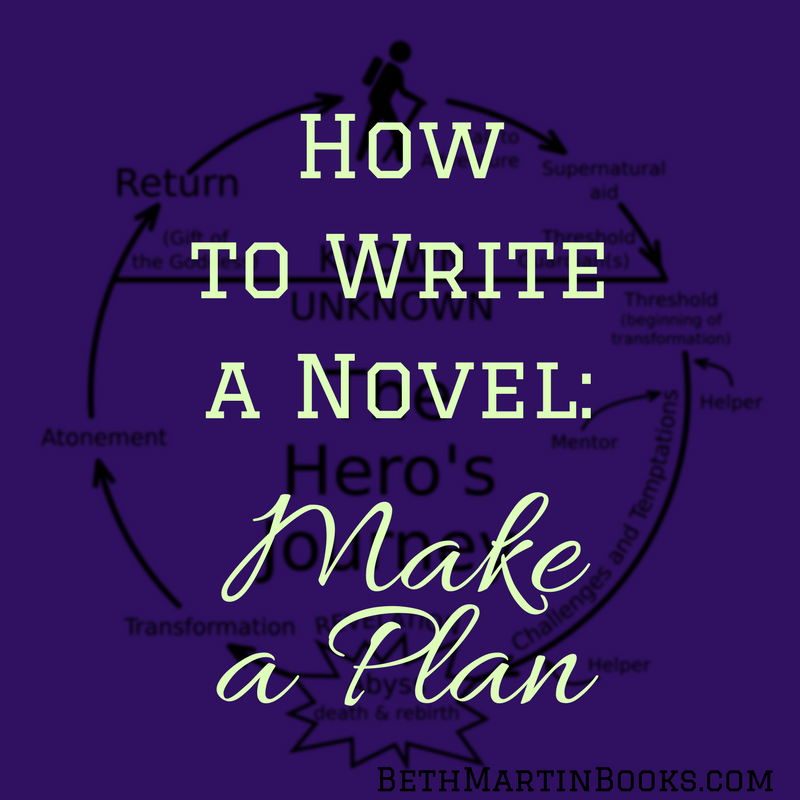 Once you've got a basic idea, start making the main character to lead us through your story. Your character needs a personality, interests, occupation, physical description, and most importantly a goal. Using Batman as an example, Bruce Wayne is an interesting character, but without his goal of protecting Gotham, all the Batman comics/books/movies/video games would fall flat. I decided to make my protagonist Juliet: a young woman who's goal is to live a normal life. To avoid a meandering plot, a novel needs a central conflict. This takes the shape of something big that gets between the protagonist and their goal. Batman wants to keep Gotham safe, so something needs to come in and make it unsafe. Make the central conflict interesting and difficult. Summing up your main character, their goal, and what gets in their way will make your elevator pitch and should make someone curious of how or even if the character will reach their goal. What gets in the way of Juliet living a normal life? Her shelter can no longer sustain the population living there, so the end is coming. Someone (or some time something) has to set in motion the events that make up the central conflict of your story. The antagonist doesn't necessarily have to be chaotic evil, they just need to have a goal which directly opposes the protagonist's goal. The antagonist in The End of Refuge is a politician. He's not an evil person, he just want's something different than Juliet. I already had a setting picked out from my original idea, but that's not always the case. If you haven't already, decide where and when all the action in your novel will take place. You could have your novel take place a long time ago in a galaxy far, far away, in the present in New York City, or anything else. Who will help your main character? Yes, the protagonist can stumble through the plot all by themselves, but more often than not, they'll need people alongside them. Anyone working with the protagonist should be introduced early in the novel, so go ahead and flesh those characters out before you begin. Once you have all of those items set, you've got enough of a plan to start drafting! Clearly missing right now is the build up to the central conflict and the resolution. I like to figure these parts out as I write. Other writers like to outline all of this ahead of time. 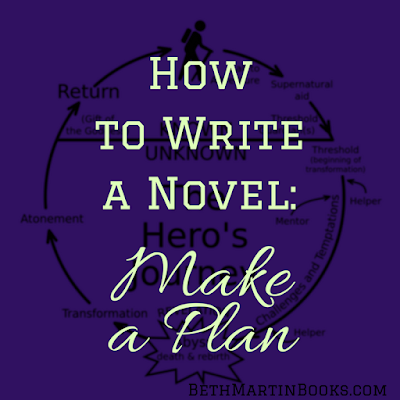 There are plenty of tutorials out there on how to outline a novel. I'm not going to get into that because I personally don't work from an outline. Next, I talk about writing chapter one.